Life is a journey. We know those words are trite and overused but, like many hackneyed phrases, they are also utterly true. Even if we would prefer to pull into a rest area and stop at times, the figurative motor just keeps humming, the wheels circling, and the scenery through the window changing; It’s one of those incredibly exciting, hugely terrifying, utterly wonderful things about being alive. Recently, our journey took a bit of a detour. We suddenly found ourselves bumping along unsealed roads we didn’t recognise, hanging on for dear life and hoping the vehicle was robust enough to handle the bigger rocks in the road. It took us a while to realise we were still at the wheel at all, and all that was needed was to study the maps, have a quick group hug, and plot a new course. Two of the main players in helping us regain control of our runaway wagon were our very select group of nearest and dearest who took time to remind us they enjoyed being around us…and Gilmore Girls. As this week’s Sage, I’m not that keen to point out the parallels between we Homesteaders and the citizens of Stars Hollow as it places me very firmly in the role of Emily which I heartily protest. That aside, similarities in general are hard to argue and the most heartening and soul-reviving of all, for us, was the way these fictitious folk make mistakes/suffer bad luck/choose the wrong road, stumble around a bit, but then pick themselves up and move on – a bit bruised, a bit tender, but also a lot wiser. and we’re eating creme brulee. This entry was posted in Family, Sage Words, Union Homestead and tagged adversity, families, Family, hard roads, journey, life's a journey, whanau. Bookmark the permalink. Daffodils are just another reminder of our different hemispheres…we’re currently in the throes of blackberries and apples around here, wildfires are creating havoc all over the province, and we are all, despite our usual complaints about the amount of rain we get here on the “wet” coast, praying for rain. Creme brulee is my all time favourite dessert – and in a tea cup, yet! 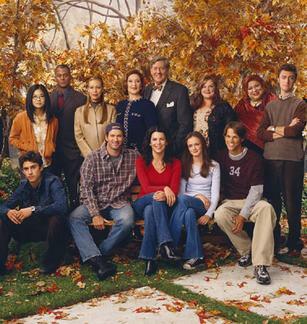 Swoon…and here’s where I have to admit I have watched this many episodes of Gilmore Girls – 0. The library has about a gazillion seasons of this show on DVD and by the rate at which I check them in it has a firmly loyal fan base. One day….but I do love the quote – and I think it describes life around here just now as well, so I’ve written it down to be used later-thank you! Sorry your life hit such a moment and glad you have come through still in on piece. I have never seen the Gilmore Girls so will have to look out for it. Good luck on the next step of the way. Thanks Susan. Things are much better now. Stuff like this comes along every so often. I am glad that you have come onto some smooth surfaces. It makes a great difference not to have bumps all the time. To continue the metaphor, life has a lot of bumpy roads. But everything is better with creme brulee. Love that quote, love the Gilmore Girls 🙂 Also, love your writing! I hope you guys can get over the bump as soon as possible, learn, and move on. Good luck! Hi, I have no idea who the Gilmore Girls are, but I am glad they provided inspiration for the quote of the week. I am also glad you survived the recent off road challenge and lived to tell the tale. The bike with the sidecar is a very cool conveyance. I am pleased you have all survived your recent trials and are now smiling again. I love creme brulee too!